Buying a home or condo off-the-plan means signing a contract to purchase a property that is yet to be built. You can view the floor plans of new construction and some artists’ renderings, but there is no physical property to see or inspect. This article takes a look at some of the reasons why home seekers like to buy off-the-plan, and some of the pitfalls that can arise during the process. In most cases, it would still serve you to bring a local Real Estate Agent to show you new construction. Don’t step into the new home builder community without your agent if you do plan to use one, or they may be not permitted to represent you later. Many builders require your agent present on the first visit. When you retain your own representation, which in most places, costs you nothing extra, you have someone not invested with the builder that can truly protect your interests. In Nevada, the seller typically pays the buyers agent. The primary reason why home seekers like to buy off-the-plan is choice. Typically, buyers are able to choose from a range of floor plans and select the property’s finish, color schemes, and inventory. Quick-off-the-mark buyers, who come in right at the start of a new development, usually have the most choices. At this point, properties with superior positions, lot sizes, and views are still available. A wide array of choices means a greater opportunity to secure a property that is perfectly adapted to your needs. Home seekers also like to buy new construction because they hope the property will be worth more when it is completed. In a rising property market, it seems logical that if you sign a contract to buy a home that is for sale at today’s prices, it should be worth more when construction is finished in a few months or a few years’ time. In this respect, it pays to sign up early. When developers first bring a new development to the market, they usually start with lower prices to encourage faster sales. Once construction has commenced, and the developer has fulfilled his construction finance commitments, prices often rise – especially in popular communities with many expressions of interest. Organizing a home purchase can be tricky, particularly if you have to coordinate a home sale at the same time. Buying off-the-plan gives you plenty of time to put your affairs in order before you move into your new home. Having the opportunity to pack, place things in storage, notify utility companies of your impending move and write change of address cards can greatly reduce moving stress. There are a number of possible perils when buying a property sight unseen. Of these, receiving a key to a home that looks nothing like you imagined it is the number one reason why buyers are cautious about buying a home off-the-plan. Perhaps the condo has a smaller floor plan than you were promised or windows have been moved, giving you an inferior view than the one you expected. Make sure you get the floor plan advertised in the marketing materials by reading the small print. The sale contract should spell out how the developer will determine the square footage of your new home. 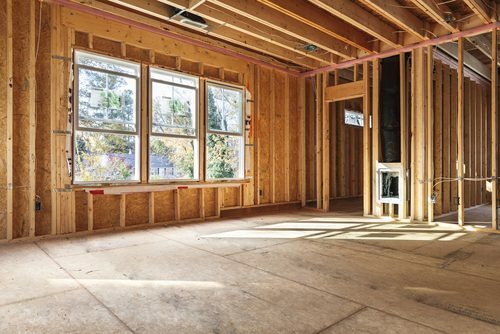 For example, the developer may measure from the exterior walls, which adds the thickness of the walls to the square footage, or he may include non-living space like an outdoor balcony or basement storage. RELATED: WHAT SHOULD I LOOK OUT FOR DURING THE FINAL WALK-THROUGH? 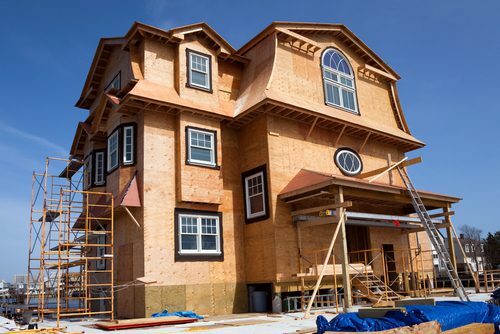 The building process takes around 70 to 150 days for most standard homes. But if you are buying into a condo building or a development that does not have any infrastructure yet, expect construction delays. Most new homes will require several inspections by county officials during the construction process. Utility companies have to connect the new lots up to public utilities. Even if the developer sticks to the building program, coordinating the inspections, permits and third-party service providers is a complex and schedule-busting task. The contract, and the offering plan that sometimes accompanies it will spell out the projected timescales for completing the construction. Read these documents carefully, and add at least six months’ flexibility into your move-in date. To cover your bases, ask your real estate agent or attorney to add a drop-dead date to the purchase contract. A drop-dead date lets you cancel the contract and reclaim your down payment if the developer cannot close by the date you specify. Buying a new construction home has unique financial challenges. Most developers want to know that you have, or are in the process of getting, mortgage finance before you sign the purchase agreement. But don’t try to lock in a mortgage rate while your new home is still a hole in the ground. A pre-sale home must be “substantially complete” before the lender can order an appraisal. Definitions vary, but usually, your new home must be 90% complete before the lender can move forward with underwriting your loan. Some lenders, including the FHA, have special rules regarding new condo developments. Generally, at least 30% of the condos in a block must be sold before the lender will endorse a mortgage on any unit. So even if your unit is ready, you may have to wait for the rest of the block to sell out before you can move in. Research the track record of the developer, architect, builder and sales team to make sure they have a reputation for delivering quality projects on time. Track the closing date through the construction process. Don’t be wowed by the show home’s finishes. Typically, the stainless steel appliances that look so great in the brochure come at a premium. Check the contract carefully to see what you are getting. In condo blocks, check the floor plans carefully. Does the condo above you have a balcony, and will it cast shade over your condo? Are you going to be right next to the trash room or an elevator? Keep an eye on resale value. Developers build homes for profit, so usually, they will construct homes in areas of high demand. But if a second or a third developer are also constructing lots down the street, the neighborhood could end up with an oversupply of housing. Price is a function of supply and demand, so a glut of new housing could push your resale price down. The general rule here is, don’t go it alone. Appoint a real estate agent with experience in new construction. She can take the strain out of the home selection process, and make sure that your contract protects you against substituted finishes and unexpected delays.